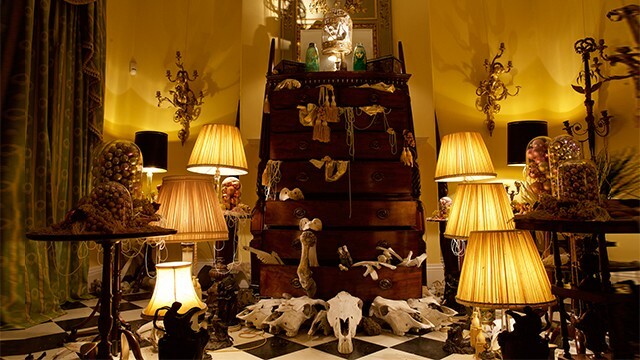 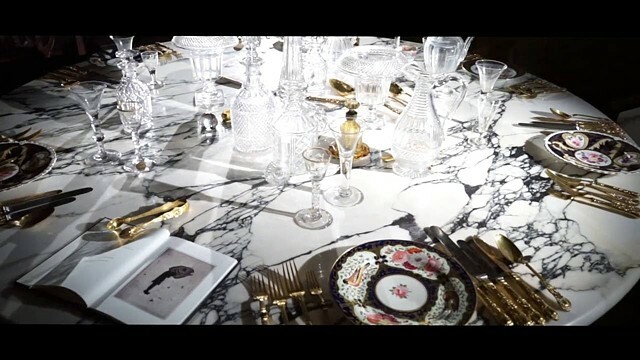 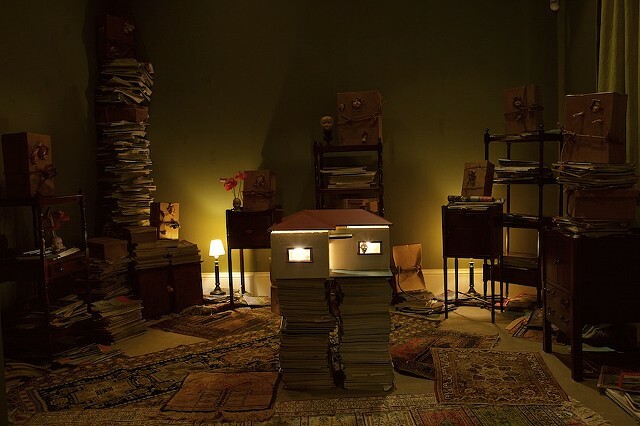 The Johnston Collection collaborated with independent Melbourne arts company, Barking Spider Visual Theatre, with a Fairhall exhibition-house tour, HOUSE OF DREAMS. 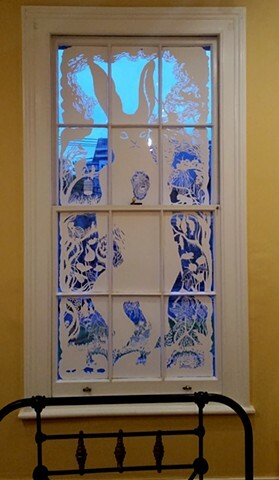 Inspired by Carl Jung's dream theories, the exhibition used the metaphors and symbols of dreams to convey stories exploring the history of William Johnston (1911 - 1986) and his residence, Fairhall. 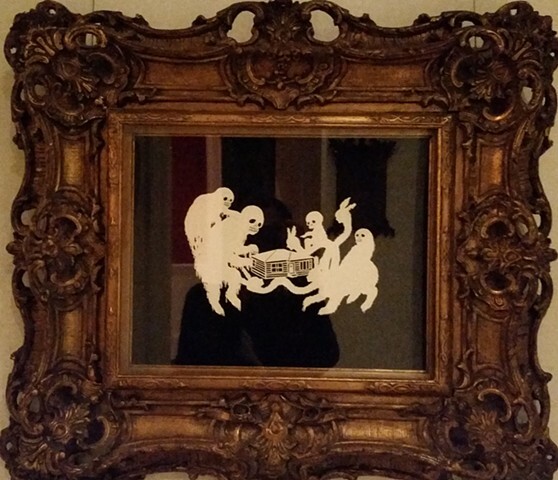 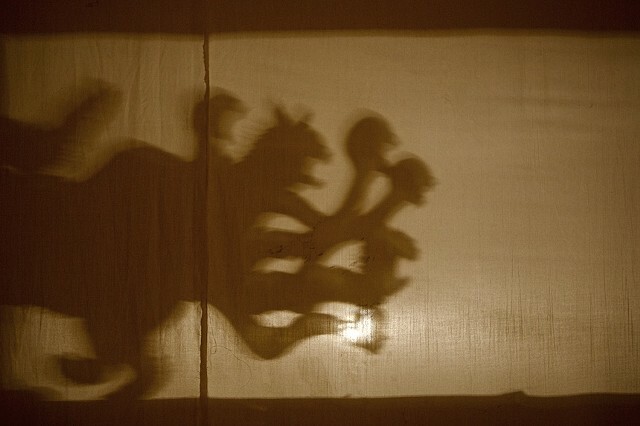 I was commissioned to create shadow puppets and paper-cut installation on window panels.